To view these rules on a small screen, click here. 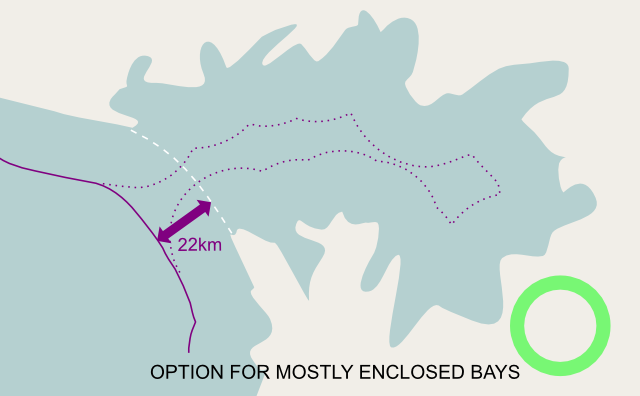 Users who want sea borders should draw them 22 km from shore. OGF has some rules for creating coastal and oceanic islands. 2.) 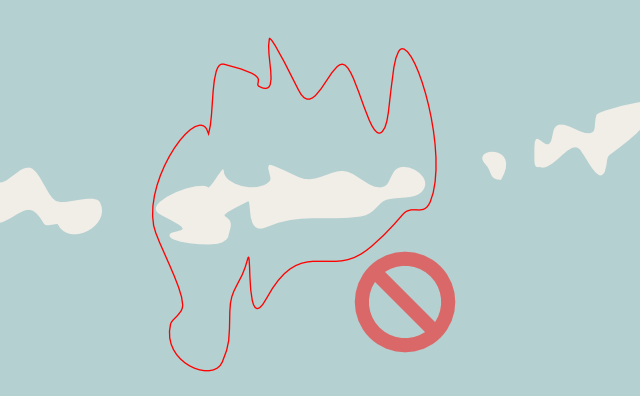 Islands should be reasonably small (use your judgement). 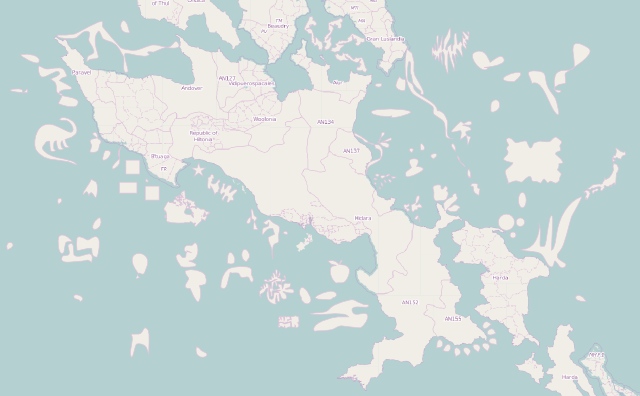 Of course larger islands and more distant islands do exist in OGF, but in order to control their number they are normally created by the admin team only. 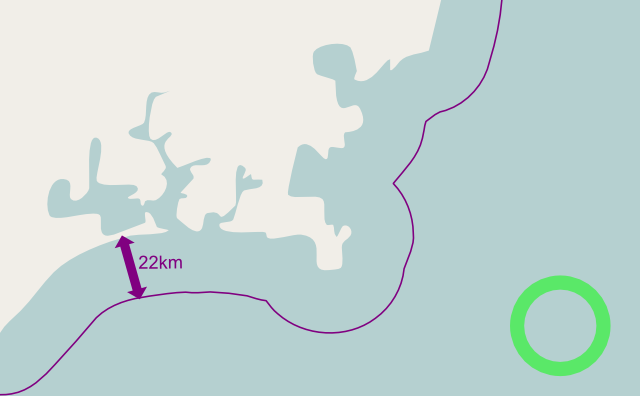 If you add islands, remember to adjust your 22 km maritime boundary (if you have one). Coordinate with your neighbors to create a natural looking environment across borders. Study real world maps to mimic islands realistically. Please create your own original islands, instead of copying land from Earth. 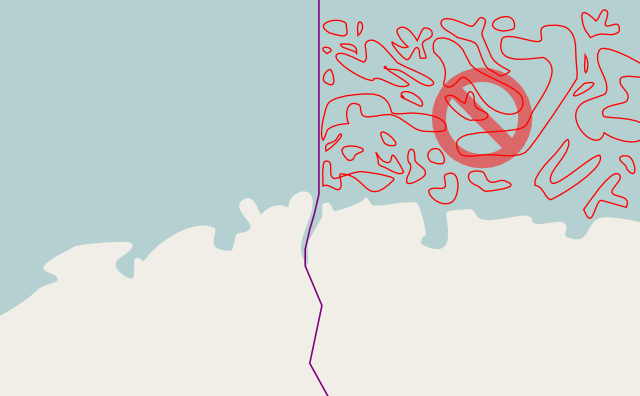 Do not build islands over shipping lines. (Sometimes shipping lines may not show in your map editor. 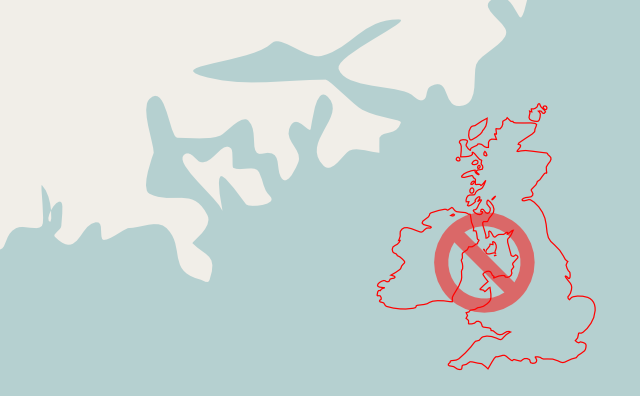 Check the OGF map after making any islands to be sure no shipping has been affected.) 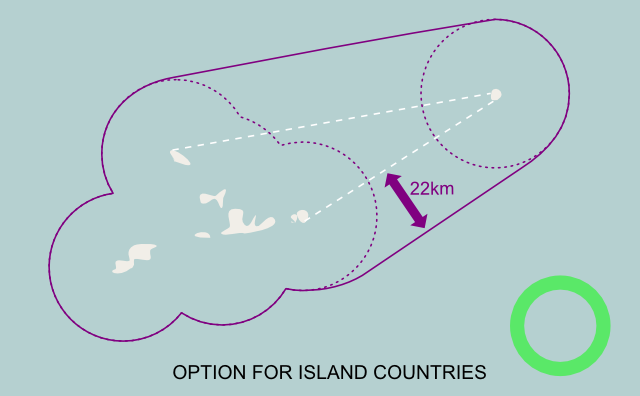 And if you are developing an island country, please do not "fatten" your island to gain more land area. If you would like more territory, then please contact admin to select a bigger territory. Long distance shipping lines are recommended for advanced users only. For more detailed advice, see OGF:Shipping lines. 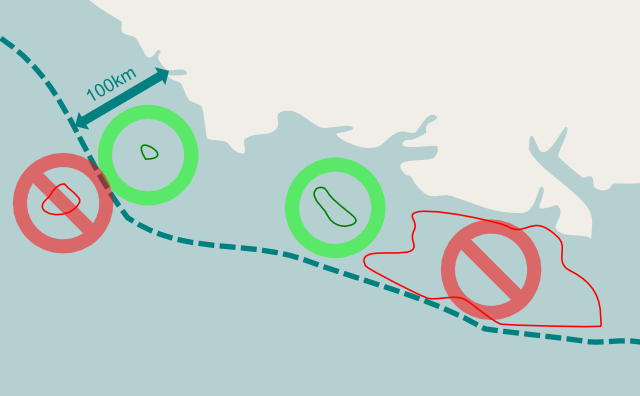 Shipping lines require the permission of users at both ends. Do not delete or edit others' shipping lines. Shipping lines shouldn't have unnecessary detours or sharp angles. They should be reasonably straight and bend in wide curves when turning. Shipping lines should leave ample room when rounding capes. They should not cross over islands or tidal land. 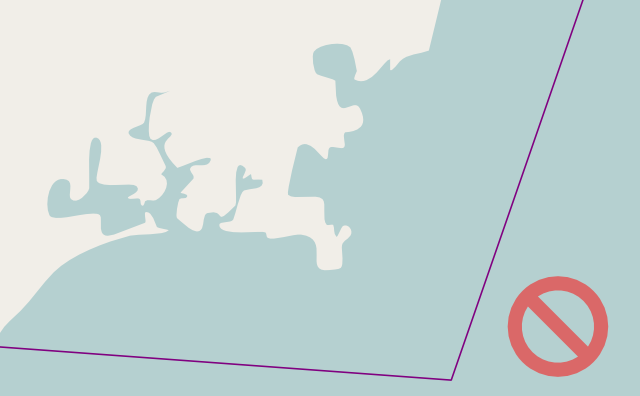 Shipping lines serving the same point should not cross. The curves of shipping lines should be smooth, not jagged. Do not create islands in the sea to serve as "stopping points" for your ships. This page was last edited on 10 March 2019, at 19:45.